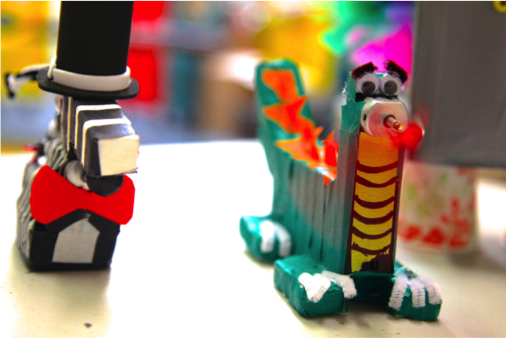 Are you interested in bringing your students to Brooklyn Robot Foundry for a field trip? 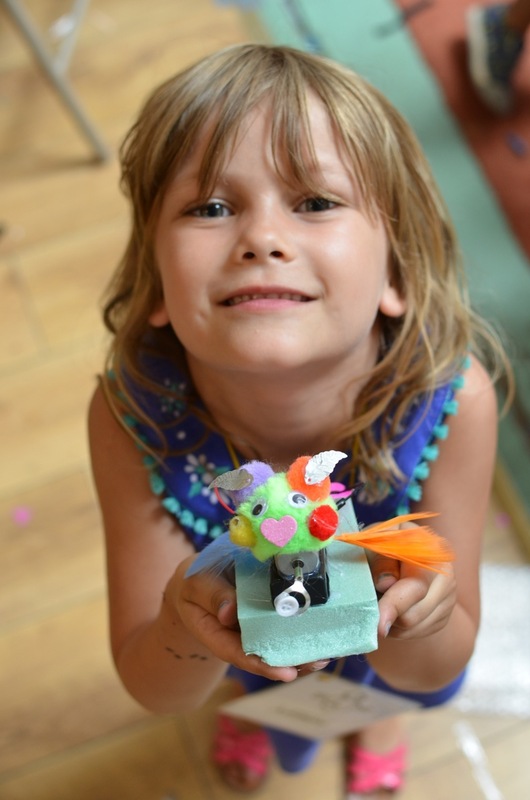 We would be delighted to show your kids the wonders of building robots. We have a number of field trip options based upon the grade and ability level of your group. See the table below for details. Spots are now posted for the 2018/19 school year! [!] A note regarding purchase orders and other payment methods: Please note that we cannot accept checks by mail. For purchase orders, please have the payment sent to your school so it also can be brought by your teacher on the day of the field trip. Field trip balances can also be paid online through your confirmation email! We also offer offsite field trips where we bring everything to your school! Just send us an email and we’ll get back to you. What time would you want the classes to take place? We designed this trip for our tiniest builders and their teachers. Bring your preschool class to us for this early introduction to circuits. 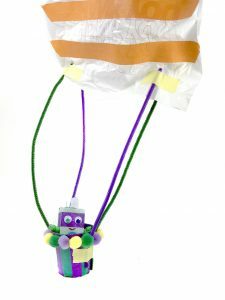 Each child will build, design and take home a light up passenger and parachute. 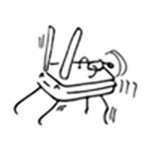 The class is designed to be a really fun introduction to electronics! You must bring at least a ratio of 4:1 (kids to your teachers) as the building activity will require additional help from your teaching staff. We also cap the size of this trip to 20 kids due to the increased number of adults who have to attend. *Children must be in daycare/preschool to attend and be 3-4 years old. No exceptions! This trip is not designed to work with older children. This session is designed to teach students about simple circuits and the basic aerodynamic concepts of lift and drag. Teachers will model these concepts, then students will create parachutes to try out what they’ve learned! We will also do a fun experiment with a simple circuit and an LED and teachers will take home the light-up wands that make their circuits work. Kids follow along with our super fun (and educational) read aloud throughout the lesson. *Children must be at least 4 years old to attend field trips. 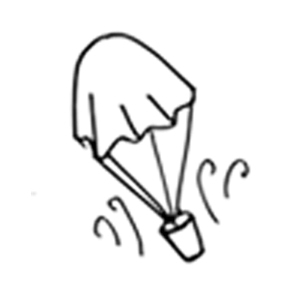 10:50-11:30~ Students design, build, and experiment with their parachutes! This session is designed to introduce students to the basic engineering concepts of circuitry and vibration. We will start the session with a lesson on circuits and a demonstration on vibration. Then, the students will get to work building, designing, and experimenting with vibrating robots of their own! 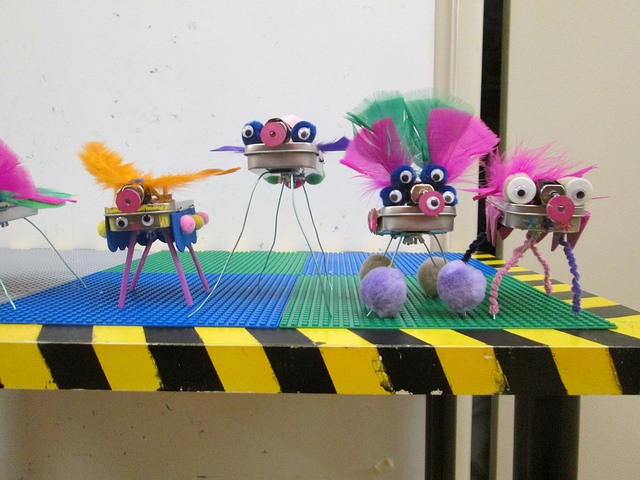 10:20-11:30~ Students build, design, and experiment with their vibrating robots! An understanding of and hands-on practice with core curriculum standards regarding circuits, electricity, friction and machines. This in-depth session is designed to teach students about switches and circuits. Students will each build their own parallel LED circuit with two tilt switches and then have the opportunity to make their creation all their own! We will start the session with a quick lesson and then the students will get to work building, designing, and experimenting with their own electronic glow pets! 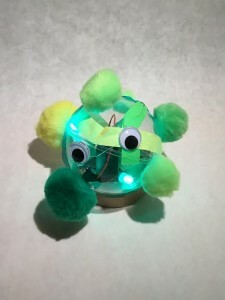 10:20-11:30~ Students build, design, and experiment with their glow pets! An understanding of and hands-on practice with core curriculum standards regarding circuits and electricity. This session is designed to introduce students to the basic engineering concepts of circuitry and vibration. We will start the session with a lesson on circuits and a demonstration on vibration. Then the students will get to work building, designing, and experimenting with their own vibrating robots! I want to book a date but the time (10-11:30) doesn’t work. Is there any flexibility in that? Yes. We can start a trip up to 30 minutes late but we have programs running in the afternoon. Please email us and we can arrange something with you. The date I want is not available. What do I do now? Unfortunately it means that we have something else booked that day and will not be able to host your trip. Sorry! What will the kids get to take home with them at the end of the trip? 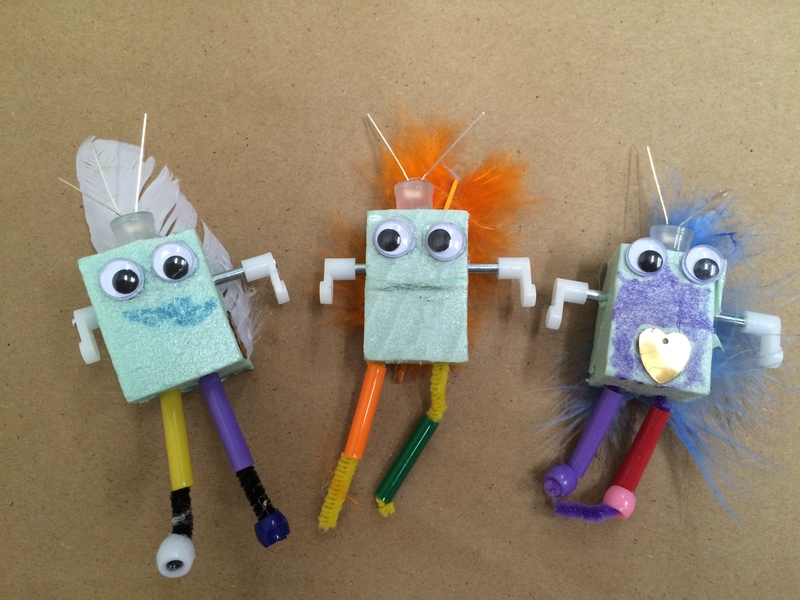 They will each build, design and then leave with their very own robot creation! I want to bring multiple classes. How do I book that? When you click the book now button above, just choose the dates that you want and you will be able to fill in the class information for each date. How many kids can your Manhattan spaces accommodate? They can both accommodate up to 30 kids. 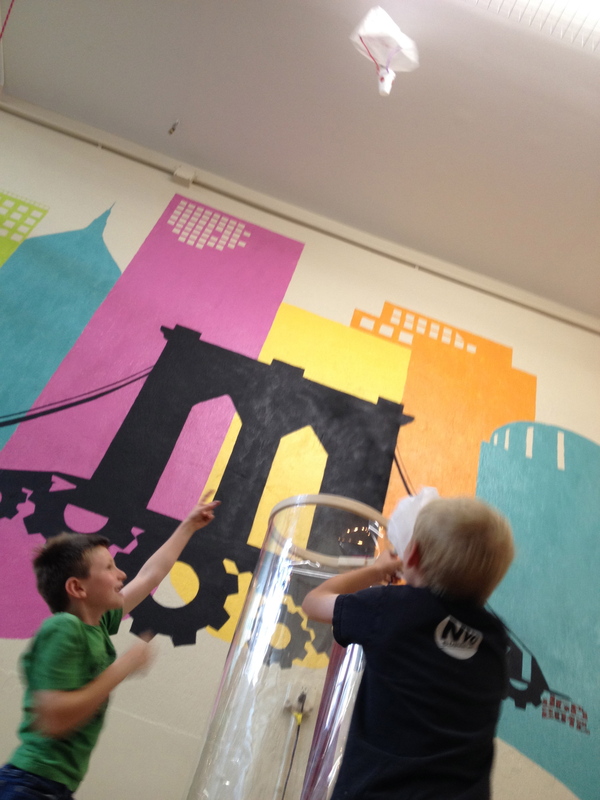 How many kids can your Brooklyn spaces accommodate? We can accommodate up to 30 kids at our South Slope location and 40 kids at our Atlantic Location. How many adult chaperons and teachers can attend? You can have up to 5 adults with your group unless you have an ICT or Special Education classroom and have a higher staff to kid ratio. We would expect and welcome any paras or one-to-ones to attend to help the students as required. Do you accommodate children with special needs? Yes. We are very good with all different types of learners. We often work with children on the spectrum as well as various other special needs. Our South Slope is accessible excluding the bathroom. Our Upper East Side and Atlantic spaces have a small step so most wheelchairs can bump up into the space. Our Tribeca location has a few steps. Can we eat lunch at your location? Sorry, there isn’t enough time between the field trips and the next events we host each day. But we can recommend local pizza joints that can accommodate a classroom of kids. Your field trips are a bit out of our price range. Do you have any suggestions? Yes, many schools receive STEM field trip grants through Donor’s Choose. Remember to indicate that there is a deposit required ($50) when filling out your application. Please also specify that we can NOT receive checks in the mail. Donors Chose should either deliver the funds to us Direct Deposit or you will need to bring the check with you on the day of your trip. What happens if I need to cancel my trip? As long as you give us 3 weeks notice, we will work with you to find another time. As the semester progresses though the time slots will fill up and it may mean that we have to reschedule the trip for the next semester/next school year. If you think it is likely that you will have to move your trip, we recommend that you wait to schedule it until you are more confident on the date. Please check out our FAQs above. If you have any questions not covered there please let us know! *Our customer service team will get back to you within 1-2 business days. Thanks!